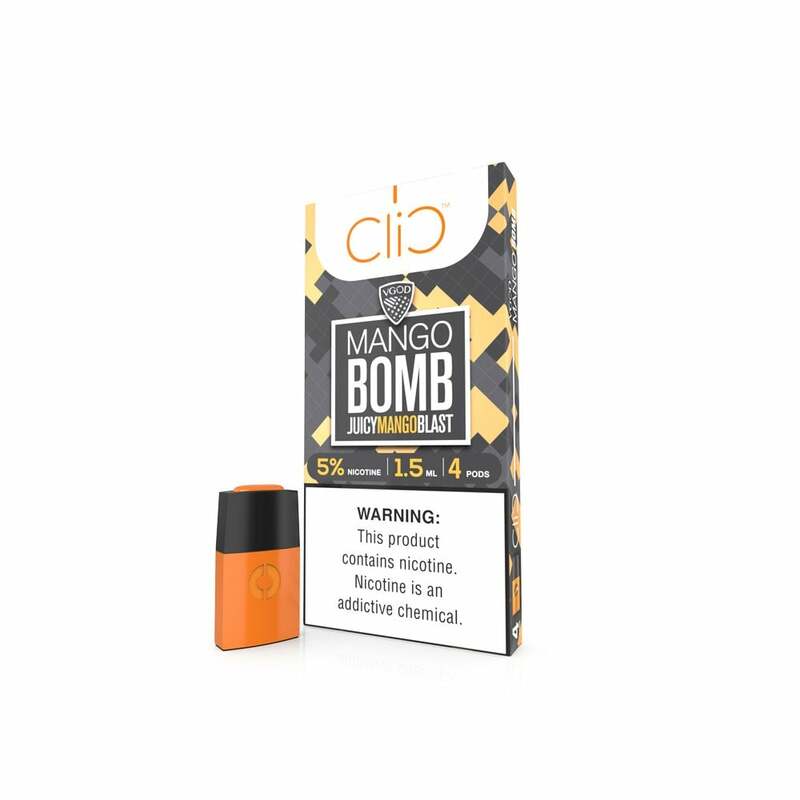 Clic Vapor have teamed up with industry giants VGOD to put thier famous Mango Bomb vape juice into the Clic device. Waves of juicy mango glide across your tastebuds to deliver a fruity experience like no other. Clic Vapor pods are available in four packs and contain 1.5ml of incredibly smooth nicotine salt vape juice. All Clic pods come in a 50mg (5.0%) nicotine strength formulation.